Bulls Gap School: Spotlight - Reading Fair! 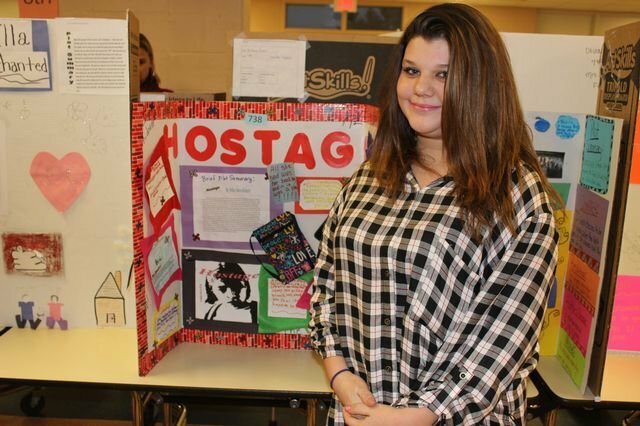 Bulls Gap Middle School students recently showed off their Reading Fair projects! Students chose a favorite book and designed project boards featuring the required elements of the assignment, then added creative touches. Middle school parents and families were invited to view the projects, which were judged by Central Office staff. Thank you to students, teachers, and staff for the hard work put into this event! Click here to view photos of the Reading Fair.